We borrowed Boomer Creek Mack from Alison and John of Winswood Miniature Herefords in 2011 and we got 18 calves from him in spring of 2012. We were understocked at the time so were able to have all of Alison and John’s cows stay on our property and share Mack. He was very popular that year! We really appreciated borrowing Mack as we didn’t have our own bull at the time. Out of the 18 calves born, we have 1 bull called Bruno, 5 heifers and 12 steers. Four of the steers are being sold as grass eaters( we call them the “Lucky Boys” ) and the other 8 will go from “paddock to plate” in the 2013 New Year. 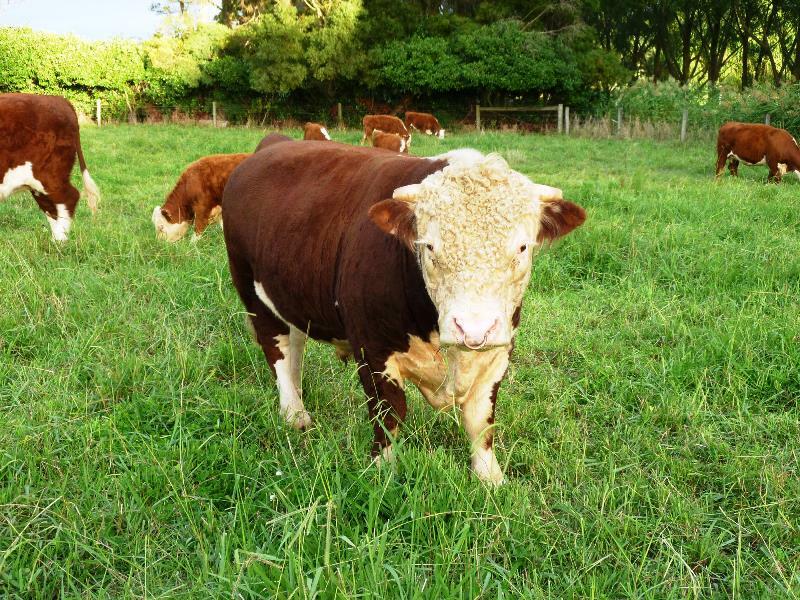 They keep our family, friends and acquaintances well supplied with quality grass fed steak! Mack was the biggest star in the Miniature Hereford world at the 2013 Royal Melbourne Show. Check out the photos of him on the AMHBN website. Mack scrubbed up really well and took all the showing in his easy stride! 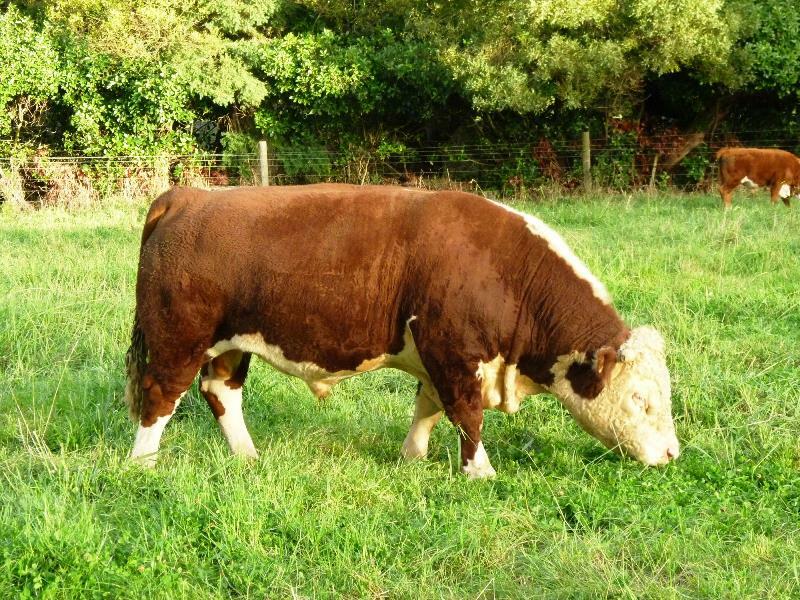 This entry was posted in AMHBN, mini Herefords for sale, miniature herefords.